We Love God, We Love Health, and We Love People. Every month we have regular staff training where we learn and research something new about health, watch documentaries, bring in experts, discuss products in our store, and more. Each person on our staff brings a unique interest and qualification in health which we hope brings you the best experience possible. It's not all work and no play at Spirit of Health, we also make smoothies together, see who is more flexible in Pilates class, get sweaty on the rebounders, have breaks in the sauna, relax on amethyst crystals, wood chopping competitions, rock skipping tournaments, and share meals together. Vaughn Lawrence is originally from the Kansas City area. In 2000, Vaughn relocated to Las Vegas where he earned his doctorate of Naturopathy from Clayton College of Natural Health and received training from three master herbalists. Vaughn proceeded to work in the Las Vegas area as a health food store manager, educator, practitioner and consultant. In 2010 Vaughn returned to Kansas City and founded Spirit of Health. Vaughn has also received certifications as a colon hydrotherapist, nutrition response testing practitioner through Ulan Nutritionals, GAPS diet practitioner, certified dietary supplement specialist, and iridologist through the Bernard Jensen International Institute. Jennifer began her career path in rehabilitation practices in 2001 with her Bachelors in Athletic Training from the University of Delaware. For four years, she worked with high school and college level athletes in the prevention and treatment of athletic injuries. Shortly after, Jennifer pursued her Doctorate in Physical Therapy at Duke University and from there began working as a physical therapist in various settings from in-patient rehab to home health services and out-patient orthopedics. After moving to Kansas City and enduring a sudden back injury, Jennifer was introduced to Polestar Pilates, a rehabilitative form of Pilates. Through the practice of Pilates and holistic nutrition, Jennifer was able to make a full recovery and continue her passions in dance and athletics. She has since graduated from the Polestar Pilates Education Program and is now a certified instructor through the Pilates Method Alliance. Jennifer believes that healing comes from the “inside-out” and requires an intentional partnership with how we were originally created to eat, breathe and move. 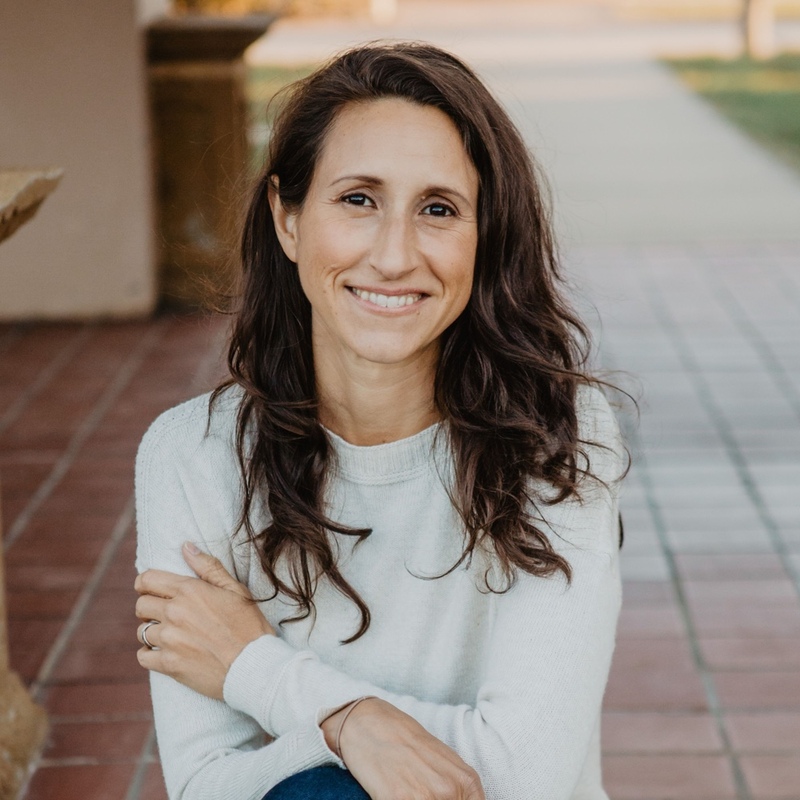 Originally native to Hilo, Hawaii, Jennifer now resides in Kansas City with her husband Vaughn, Naturopath and owner of Spirit of Health and their growing family. In 2015 Mike joined staff with Spirit of Health and started studying natural health. Throughout his time in Kansas City, Mike has continually pursued higher levels of education in the natural health field. He has graduated as a Certified Regenerative Detoxification Specialist and an Advanced Clinical Iridologist through Dr. Morse’s International School of Detoxification. Mike holds three certifications from working under Dr. Morse, specializing in detoxification, cellular regeneration, holistic healing, Iridology, and herbal protocols. In 2016, Mike received two certifications in Iridology through the Bernard Jensen International Institute, as well as another certification of iridology, with Dr. Jensen, through the University of Natural Medicine. Mike also holds certifications through the International Institute of Iridology in Fundamental, Intermediate, and Advanced Holistic Iridology. His love and enjoyment of athletics are shown by his studies of Holistic Sports Nutrition through The College of Natural Health as well. Mike has a passion to educate people about the body and how God designed the body and its ability to heal itself given the proper circumstances. He firmly believes that true health comes from having balance on all levels, starting first with spiritual health then moving to emotional, mental and physical health. Mike enjoys helping people understand how to partner with God in their health and desires to give hope to others that anything can be overcome. Mike’s heart is to take his knowledge and experience in the natural health field and empower the nations to take back their health as well as connect with their Creator in the process. Why Does Health Matter To You: You need good health to live life to its fullest. Without good health everything else in your life suffers. Go-To Weekend Activity: Hiking, taking walks with God, and just enjoying my loved ones. Why Does Health Matter To You: Because it matters to God. God has a heart for healing and restoration. He created all things good and didn't create our bodies to break down. I have a heart for people that are in pain and sickness and want answers. I love seeing people get breakthrough and restore their health and happiness. It's so wonderful being able to hear all the different stories of health and healing people have. Go-To Weekend Activity: Sports, enjoying nature, mini road trips, and spending time with family/friends. Why Does Health Matter To You: I value health because I believe our bodies are to function the way God originally designed them to! I also believe that health does not just pertain to the physical body but includes our mind, spirit, and emotions. I enjoy the journey of learning how to be healthy on all levels! Simply put, God's heart is to heal people and therefore so is mine! Go-To Weekend Activity: Long distance bicycle rides! Why Does Health Matter To You: I believe that as a Christian it is my responsibility to know how to optimize my health in order to endure and overcome the challenges in this life. It is important for our minds, our bodies, and our spirits to be clean and strong. Go-To Weekend Activity: Spending quality time with people, cooking, and outdoor time! Why Does Health Matter To You: We have three main parts, mind, body and spirit, that make up the whole person. If one area of your person is hurting, it affects all of you. I want people to fully live their God-given purpose without poor health hindering them. Through my own personal journey with health, I have seen how being healthy affects my mind and spirit. Luckily, we have a good Creator who is willing to partner with us in the journey of health and in making us who He created us to be.